The second film in the "Harry Potter" spinoff ends with a jaw-dropping revelation, but should it be trusted? Star Ezra Miller gives IndieWire his own take. Many stories swirl though David Yates’ overstuffed “Fantastic Beasts: The Crimes of Grindelwald,” but most converge on one question: Just who is the orphaned Credence Barebone? In the first film, “Fantastic Beasts and Where to Find Them,” Ezra Miller entered the franchise as a strange wizard so filled with fear, anger, and repression that it transformed him into an Obscurial, the human host of an Obscurus (a magic parasite born of bad feelings and withheld magic). While his background was murky, it came as little surprise that the odd magic that Credence possessed would be intriguing to the evil Gellert Grindelwald. By the time the first film concluded, Credence’s scary magic (and, frankly, bad attitude) nearly destroyed New York City, and he was believed dead. What “The Crimes of Grindelwald” supposes is he didn’t die, but fled America to join a magic circus and continue his quest to learn his true parentage. Grindelwald (Johnny Depp) wasn’t far behind, and the mystery of where — or, more appropriately, who — the sad orphan came from dominates Credence’s storyline the second time around. The “Harry Potter” franchise has always been compelled by family trees and the way they get tangled up in each other. “The Crimes of Grindelwald” is obsessed with them, leading various characters to attempt their own revelations of Credence’s parentage, many of them dead ends. And yet the film ends on a revelation that is delivered with such weight, such ceremony, such obvious importance that it should be the final word on the matter. 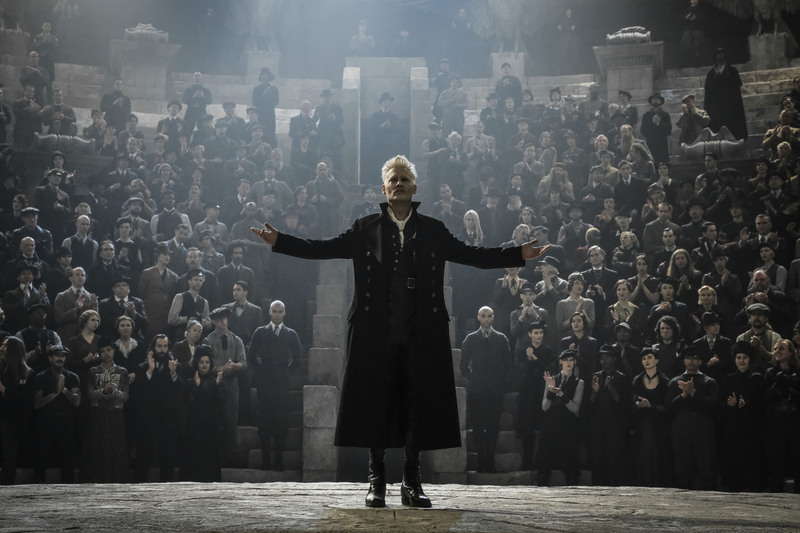 In the film’s closing moments, Credence (now firmly on Team Grindelwald) meets with the evil wizard, who has long promised to tell him the truth about his family. His story is a wild one: Credence is actually a Dumbledore, and not just any old Dumbledore, but Aurelius Dumbledore, the never-before-mentioned brother of Grindelwald’s best-friend-turned-nemesis Albus Dumbledore (Jude Law). It’s a shocking twist, but it’s also one that feels half-baked and quite implausible. Even Credence himself isn’t totally sold on it. While Grindelwald previously promised to tell Credence about his parentage, “The Crimes of Grindelwald” eventually reveals a complicated subplot that seems to prove that there’s no way anyone could actually know where Credence came from. After a protracted period in which many of the film’s characters seem to think he’s an estranged Lestrange child, Zoë Kravitz’s Leta Lestrange confesses the truth: She switched her baby brother (the real missing Lestrange heir) with another baby on a ship bound for America, if only to relieve herself of her constantly crying sibling for just a moment. That was some bad timing: Seconds after Leta made the switch, the boat starts to go down. In a tragic turn of events, the baby everyone thinks is a Lestrange (that’s Credence!) lives, makes it to America, and is adopted by the evil Mary Lou Barebone. The real Lestrange baby? He dies in the ocean. So who was the baby Leta switched? It’s unclear, although Grindelwald later claims to know the identity of a random infant — one whom the evil wizard says isn’t just some random magical baby, but a secret Dumbledore sibling that has never been so much as hinted at in J.K. Rowling’s wide-ranging canon. It’s a big ask, and an even bigger stretch. Still, Miller thinks that if anyone would know about a secret Dumbledore baby, it’s Grindelwald, if only because he was once so close to the Dumbledores. But it sort of is. Dumbledore’s family life has been well chronicled in Rowling’s books, from his relationship with younger siblings Aberforth and Ariana to the tragic tale of his parents Kendra and Percival. When the Dumbledore siblings were young, Ariana was attacked by a group of Muggle boys, a terrible incident made worse by Percival’s decision to retaliate against the boys who hurt her. His punishment was swift and complete: Refusing to explain why he attacked the kids (he worried that it would have meant Ariana was taken away for her own safety), he was sentenced to life in the magical prison Azkaban, where he later died. So, at what point did he have another son who is believed to be decades younger than Albus? Kendra died when Ariana was just 14, after another terrible magical accident and years of grieving and seclusion. So, at what point did she have another son who is believed to be decades younger than Albus? Even in a magical world like the Harry Potter universe, it doesn’t add up. And even if it did, it would be a world-bending retcon that would forever alter years of books and movies. It doesn’t really seem worth it. Miller hastens to remind us that sometimes movies and their creators can make choices that feel weird at the time. He points back to the first film, which ended with the apparent death of his character, something that took even Miller by surprise. 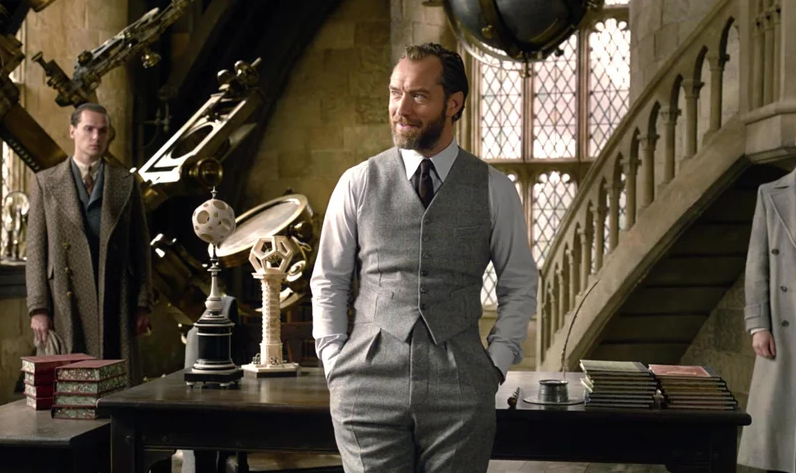 For a while, Miller didn’t know if his character was alive or dead, and “The Crimes of Grindelwald” attempts to set the record straight with an early, tossed-off line indicating that’s he very much alive. So does that mean that there could be still more backtracking come the third film? Who’s to say? “Look, I’m along for the ride just like y’all, man,” Miller said with a laugh. “Fantastic Beasts: The Crimes of Grindelwald” is now in theaters.